Mr Gordon Hughson became Mayor in 1968 when Allan Prince did not seek re-election and continued unopposed until his retirement from office in November, 1980, when he did not seek re-election. He was the Mayor with the longest continuous period of service. Apart from this he was not on the council. 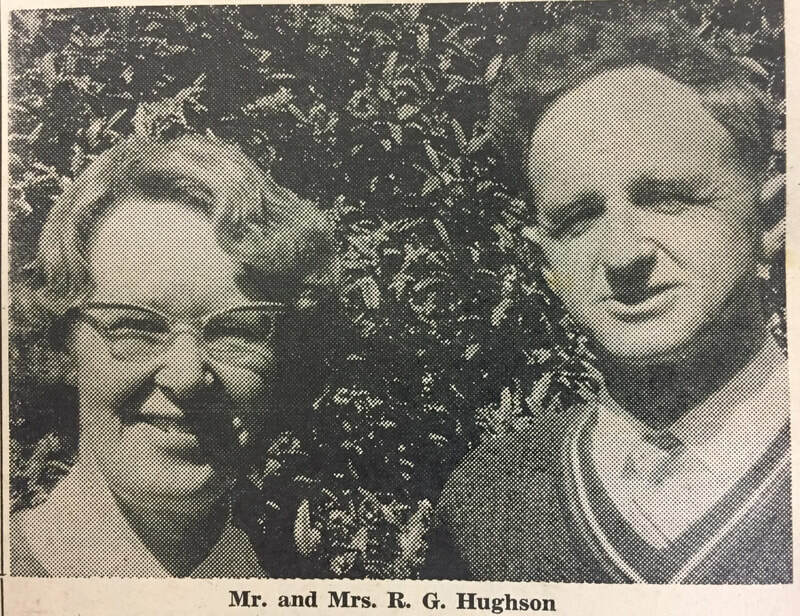 Mr Hughson was born in Opunake in 1927. His family had come from the Shetland Islands in 1880 and were the founders of Hughsons Ltd businesses, first in Okato, then Rahotu, New Plymouth and then a branch in Opunake. He was educated at Opunake District High School and on leaving school took up dairy farm work for a couple of years. 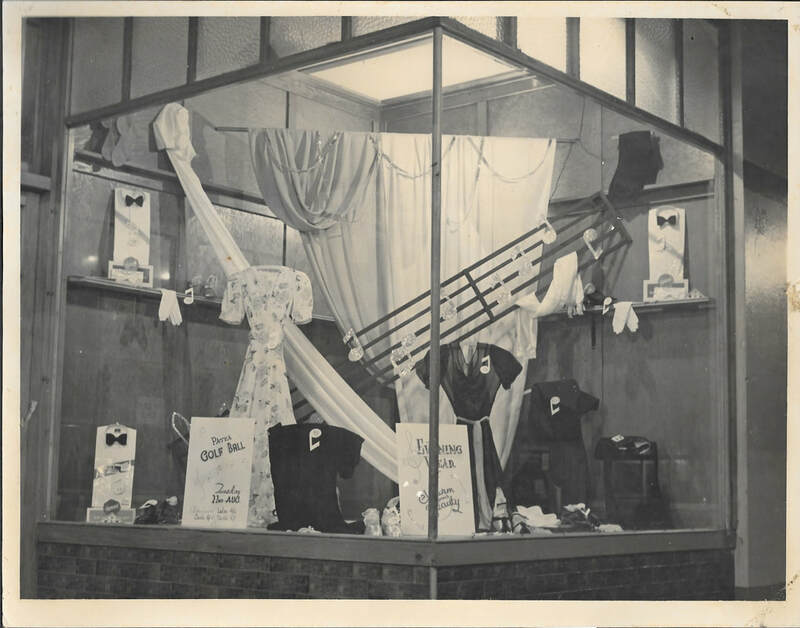 He then became manager of Enterprise Bookshop in Opunake till 1950 when he set off on an overseas working tour, first in Australia and then on to Britain where he gained warehouse and office experience in London. 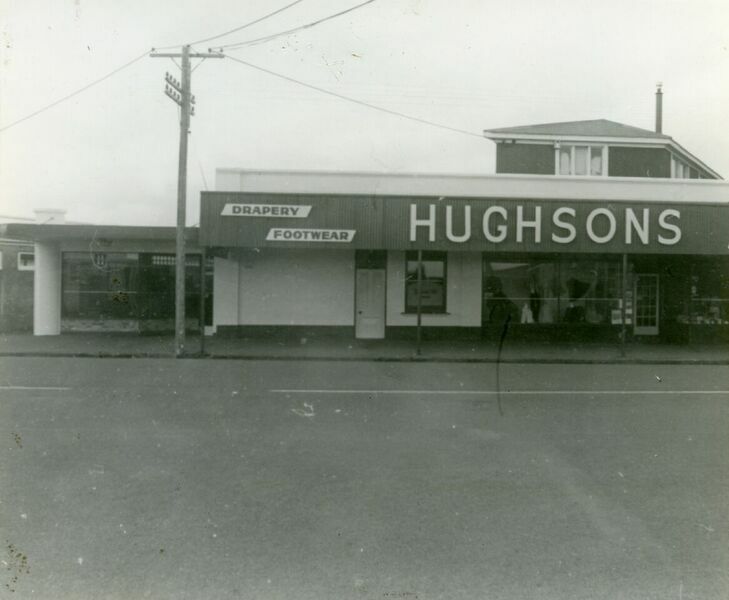 Gordon returned home to Opunake after 2 years and assisted in the mercery department of the Patea branch of Hughson‘s Ltd. 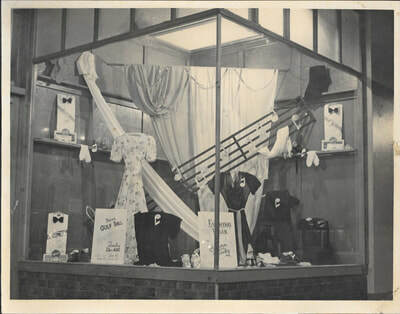 This had opened in 1937 in what had been the extension of Gibson‘s shop. In Opunake he married Joan Cathie in 1954, who was born in Waverley and was a descendant of the Southcombe family. They had met before he went oversea and kept in touch by letters for over 2 years. They had 5 children, one sadly died aged 6 months old. Wayne b. 7.2.1955 Meryl b. 20.8.1957, Catherine b. 6.9.1959, Craig b. 2.6.1962 & d. 20.12.1962, (Janet) Anne b. 13 2.1964. They lived at 34 Chester Street for the 46 years they made Patea their home. Renowned local builder; Colin Glenny started to build it in 1953 and the newly married Gordon and Joan lived on site in a caravan for 3 months until it was almost liveable. Gordon was the first Mayor to be paid for this civic position. Until this time Councillors and the Mayor proformed this govenance roles gratis. They took some time to accept this payment and continued to spend it on things to benefit the town for some years. The Patea Mail, 10 Dec. 11975, that has the picture and story about the Mayor & Councillors spending their meeting money on a table & chairs for the Council chambers. The cost of them was $4,300. In 1956 Gordon became the manager of the Patea shop which was now a branch of R.H. Hughson and Sons Ltd, becoming managing director of the company. Apart from Borough responsibilities Mr Hughson and his wife Joan took a wide interest in town activities and promoting the wellbeing of its inhabitants. Gordon participated in many of the local activities as an active member, and became a J.P. in 1965. He enjoyed sport, participating in squash and tennis, and helped revive the tennis club in 1956, and later became president of the club. He has also been chairman of the Scout Committee and Patea Public Relations Committee and is Patron of the Amateur Swimming Club and of the Patea Historical Society and a charter member of the Lions Club. He also took an active interest in the Methodist Church and was a member of the session of the Presbyterian-Methodist Cooperative Parish. Gordon and Joan moved to Whanganui in 2010 and in 2015 Gordon died at the age of 88.